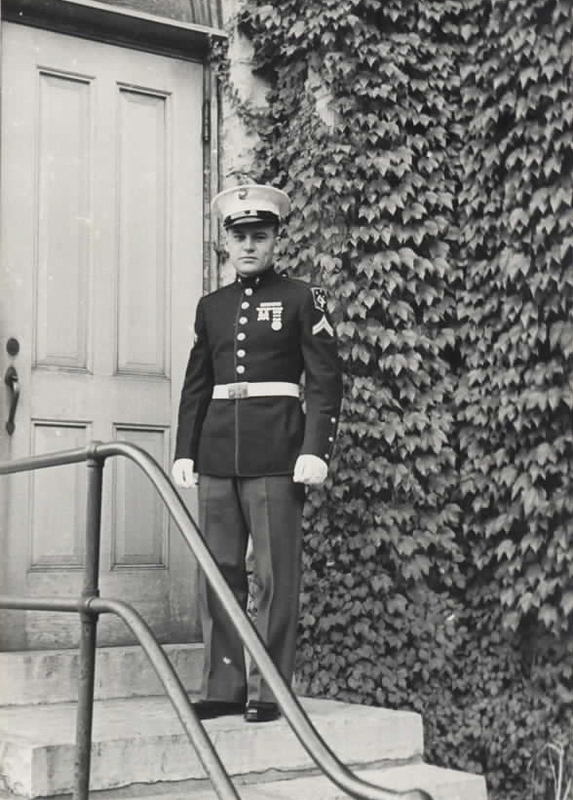 4/15/1942 John Justin Dierbeck, Jr. joined the U.S. Marine Corps and was stationed in California. In May of 1942 he boarded the U.S.S. Wharton and headed for the Samoa Islands. He was honorably discharged 11/14/1945 from the U.S. Marine Corps. He was married to Elizabeth Ann Dierbeck (nee Weber) and together they raised six children in the Midwest.